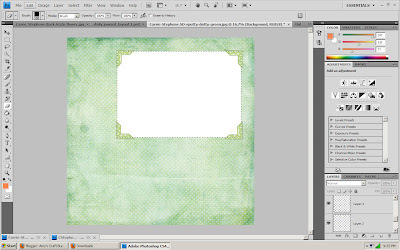 Now, here's how you can create your own digital scrap book & photo journal template. 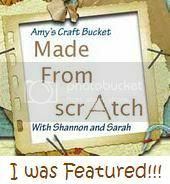 First, find a digital scrapbook kit that you like and download it to your computer. If end up using one that you have to pay for, you may have to wait for it to be emailed to you. Most of the ones I found were in zip files & needed to be extracted once I downloaded them. 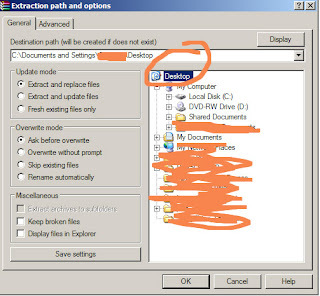 Make sure that when you unzip the file, that you save it to somewhere that is not the downloads file so you can find it again when you're ready to use it. 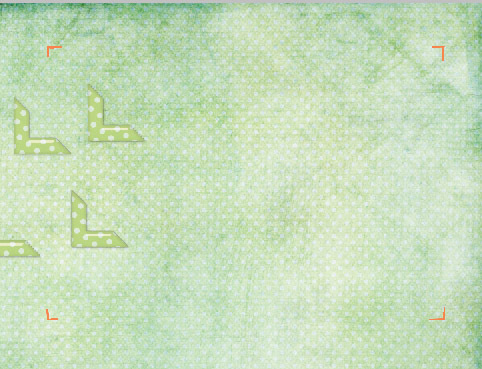 I unloaded it onto my desktop, then moved the file to file for scrapbook stuff. They unzip pretty fast! 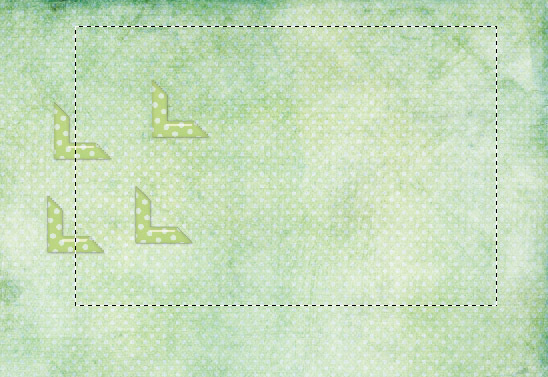 Ok now that the download stuff is through, lets get into how to go from all these different digital components to a template that is ready for you to put pictures in. Open your photo editing software. 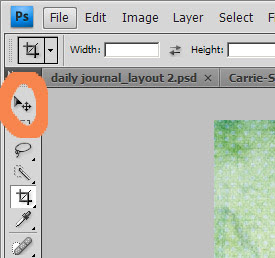 I have Photoshop; so, this tutorial will focus on using it. It is probably pretty similar in other photo editing software. 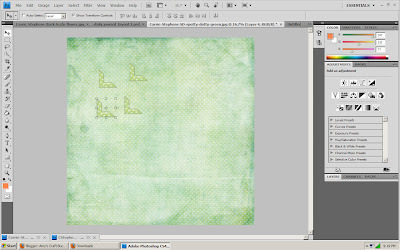 Once its open, open up the paper file that you want to work with. 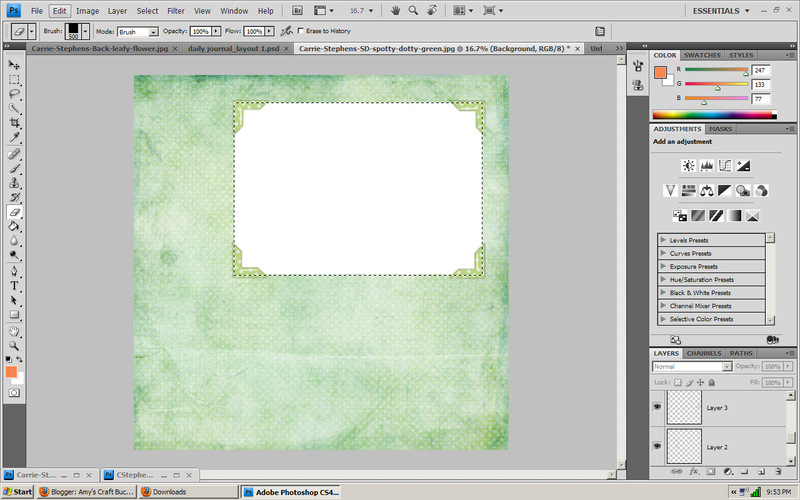 To make the second layout, I chose the Spotty Dotty Green paper in the Spontaneous Delight pack for my back ground. 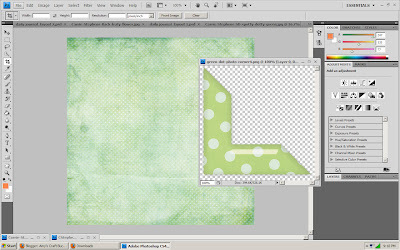 This window will be the one you add everything too & will become your 0 Layer, or Background Layer. 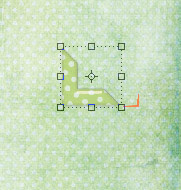 Next you'll need to click on the rectangular marquee tool and use it to create a guide for where the picture should go. Once you have the marquee up, switch to your brush tool. Its the one that looks like a paint brush. Make sure that the brush size it large enough for you to see while being small enough to fit under the corner tabs. Draw a small line at each corner to help you line up your stickers. 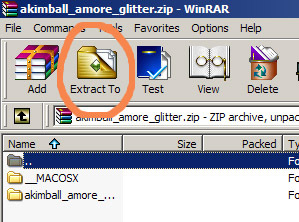 Then, switch back to the marquee tool & click anywhere to remove the marquee. 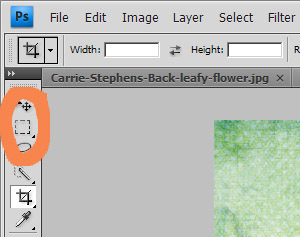 Now, on the bottom right side of Photoshop you'll see a tab labeled "Layers". Click that to bring up a list of all the layers you've created in this document. When you are done & try to move on, a box will pop up and ask if you want to apply transformation. The answer is YES. 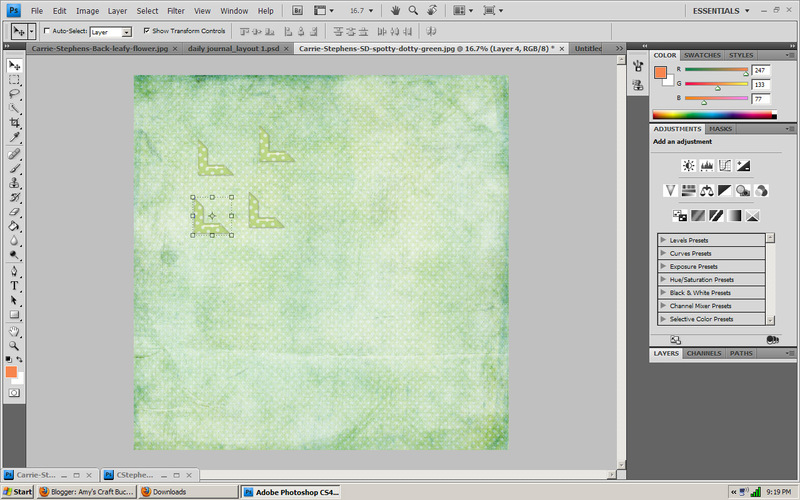 Once you have all the corners in place, go to layer 0/Background. This will high light the paper. Go back to the marquee tool & draw rectangle using your stickers as corners. This will serve a reference line for the erasing you will be doing next. Once you have the marquee ready, switch to the eraser tool. The regular eraser is perfect. 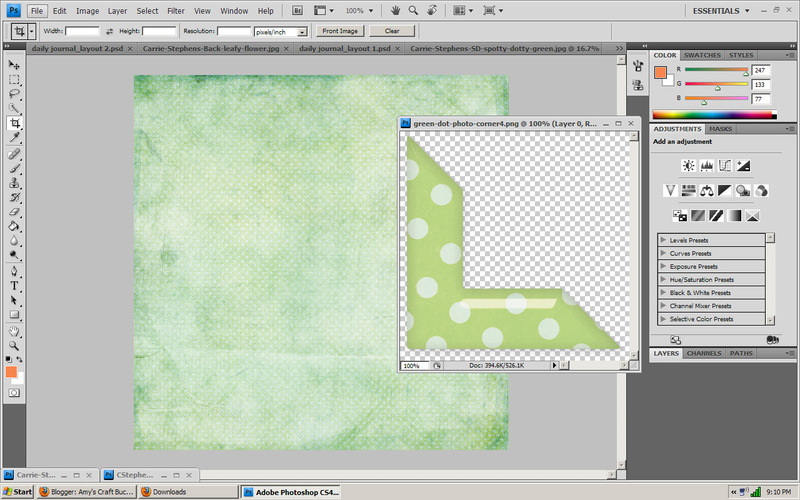 You don't have to worry about erasing around the stickers because they are not part of the background layer. Just follow the outline of the marquee then erase the rest inside. When you finish erasing, switch back to the marquee tool & click anywhere to get rid of the box. 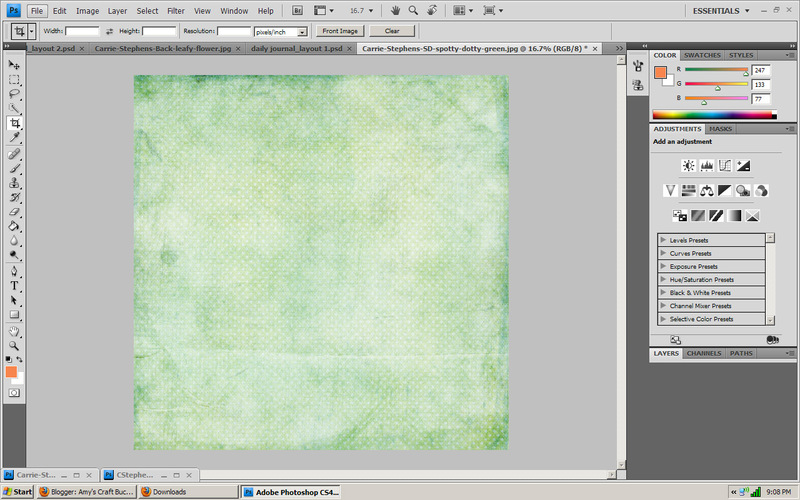 It should look like this when you're done erasing. 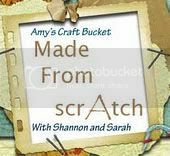 To add the glitter embellishments & the paper space to write on just follow the same steps you did when you added the corner sticker tabs. 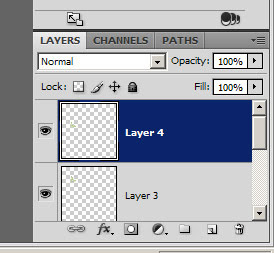 Make sure that you save this as a Photoshop document so that you can manipulate the layers. 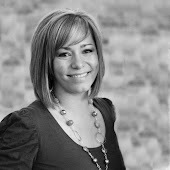 If you save it as a jpeg the part you erased will turn white & you will have a hard time making the photo fit. 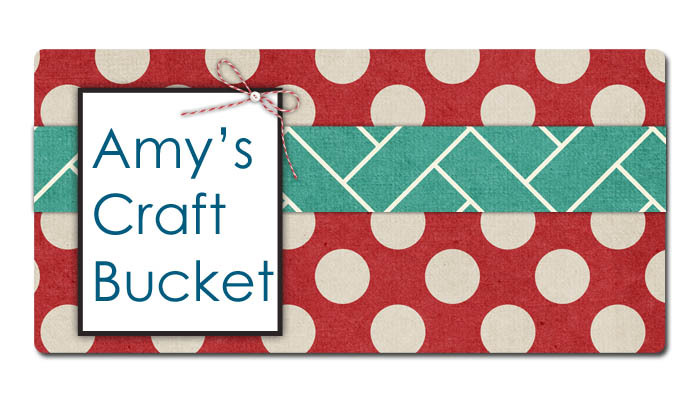 Now that you've created a digital scrap book page, I bet you want to know how to add a picture to it huh? 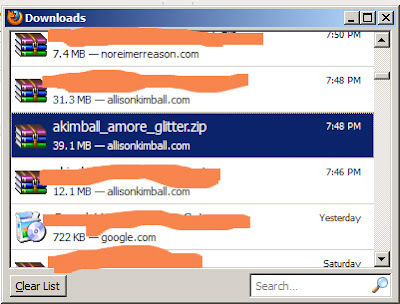 Well, keep your eyes open for the next post!! Summer Lovin' Grand Prize Is Nearly $900!!! BBQ Beef Sandwich: Fast and Easy Lunch! Kid Friendly Easter Craft: Glitter Eggs!